Pair production, annihilation, electron spin, the Einstein de-Haas effect, and electron diffraction and refraction aren't my theory, lightarrow. What they tell you is that we can create an electron out of light, then within that electron something is going round and round, that the electron behaves like light in certain respects, and its annihilation releases light. 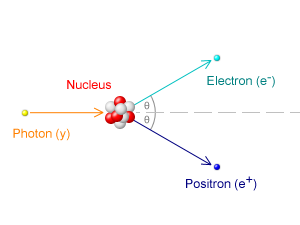 So what's the electron made out of? Cheese? Whatever kind of cheese electrons might be made of [ ]; we have another problem which could be even more serious. We talk glibly about infinite quantities, but do we really think about the implications of this? Cantor may have tamed mathematical infinities, but physical infinity is a very different thing. It is easy to confuse "infinite" with "boundless", but they are not the same. Pair production, annihilation, electron spin, the Einstein de-Haas effect, and electron diffraction and refraction aren't my theory, lightarrow.